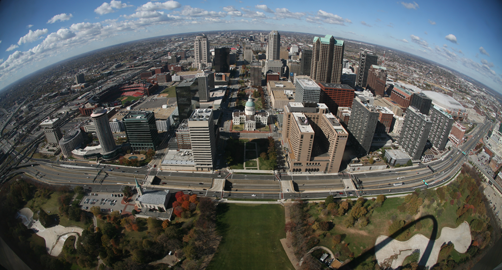 Get ready to find fun with these top affordable St. Louis hot spots. Known for being the tallest man-made monument in America at 630-ft tall, the Gateway Arch overlooks the Mississippi River and can be seen from anywhere in the city. Plan ahead when visiting the Arch as tickets sell out early and fast, and lines for the tram can be long. The Arch entry-only ticket is the best bargain at $3 for adults (children ages 3-15 are free), and includes admission to the award-winning short film, Monument to the Dream, which is shown throughout the day. Prepare for wild fun at the St. Louis Zoo, home to over 600 species of animal. Named the #1 Zoo in the U.S. by Zagat Survey’s U.S. Family Travel Guide, the St. Louis Zoo boasts over 3,000,000 visitors a year and entry is free. Fan favorite exhibits include Sea Lion Sound, the Giraffes in the Zoo’s Red Rock area, Big Cat Country, and the 850-pound Polar Bear named Kali. Find extra fun with the Keeper Chats, Sea Lion Shows, and daily Animal Demonstrations. At Bogarts BBQ, delicious smoky meats are served up at an affordable price. Chef Skip Steele brings his Memphis style cooking to Missouri at the restaurant located in Soulard, St. Louis' historic French neighborhood. The result is mouth-watering meats that fall apart at the touch. “Their BBQ is made fresh every day,” says Hutchison, “the best BBQ I’ve ever had.” All BBQ plates come with two sides, and they range in price from $12 to $15.99 at the high end. Feast on pulled pork, beef brisket, burnt ends, or go “whole-hog” and order a full or half slab of ribs instead. Seeing a Broadway show can be expensive, but it doesn’t have to be thanks to the Municipal Theatre Association of St. Louis, more commonly known as The Muny. Now in its 98th season, The Muny brings hit shows like Mamma Mia!, The Wizard of Oz, Fiddler on the Roof, and The Music Man to the people of St. Louis. During the summer season, The Muny offers 1,500 free seats to every performance. Located in the back nine rows of the theatre, these seats offer a full Broadway experience without the cost. Plan to line up early, theatre goers are known to line up for free seats starting as early as 4pm, and seating begins at 7pm.